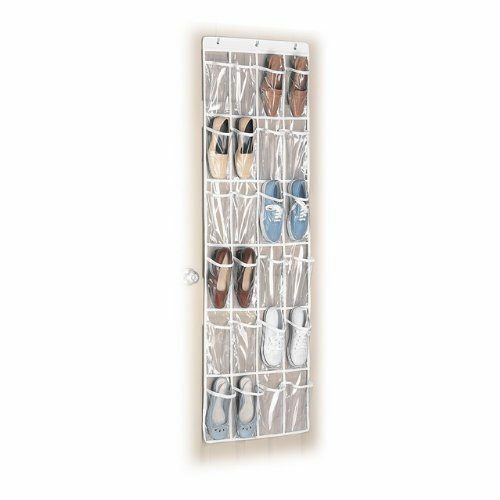 Whitmor White Crystal Collection Over-The-Door Shoe Organizer Just $6.72! You are here: Home / Great Deals / Amazon Deals / Whitmor White Crystal Collection Over-The-Door Shoe Organizer Just $6.72! Head over to Amazon and get the Whitmor White Crystal Collection Over-The-Door Shoe Organizer, Clear for just $6.72! These are great for storing lots of things – not just shoes! Shipping will be FREE with Amazon Prime or an order of $35 or more.